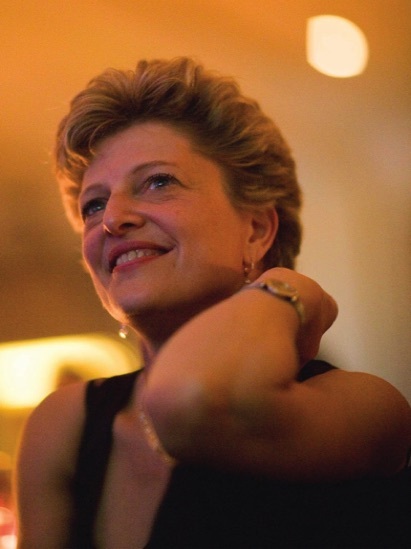 CAREY PERLOFF is a director, writer, producer and educator who recently completed an acclaimed 25-year tenure as Artistic Director of the American Conservatory Theater in San Francisco (1992 to 2018). The youngest person ever chosen to lead a LORT theater, Perloff inherited an earthquake-destroyed theater, a huge deficit, a struggling MFA program and a need to completely re-imagine the future of A.C.T. In addition to rebuilding the Geary Theater, reanimating ACT's educational programs and creating decades of vigorous, culturally diverse programming that has seen ACT's audiences grow and its work presented around the country, Perloff oversaw the creation of ACT's second stage, The Strand, a multi-venue performance space that provides a home for new artists, new work, new audiences, and the many aspects of A.C.T. 's training programs. Her highly acclaimed book BEAUTIFUL CHAOS: A LIFE IN THE THEATER (City Lights Press, 2015) explores many of the ideas and issues that emerged during her tenure at A.C.T. and shares the journey of a woman in a leadership field often dominated by men. BEAUTIFUL CHAOS was selected as the One City One Book “Big Read” by the San Francisco Public Library and was featured in programs and discussions across the Bay Area throughout 2016. A longtime collaborator of Tom Stoppard's, Perloff staged the New York premiere of INDIAN INK at Roundabout Theatre Company (nominated for a Lucille Lortel Award for Best Revival) before bringing the show to A.C.T. She has collaborated with Stoppard on the West Coast premiere of THE HARD PROBLEM and the American premieres of INDIAN INK and THE INVENTION OF LOVE, as well as ARCADIA (twice), ROCK 'N ROLL, TRAVESTIES, THE REAL THING, and NIGHT AND DAY. Perloff is also a notable interpreter of Harold Pinter's work; productions include THE BIRTHDAY PARTY (with Judith Ivey), THE HOMECOMING, OLD TIMES, CELEBRATION and THE ROOM (American Premiere), MOUNTAIN LANGUAGE (American Premiere, CSC), and THE COLLECTION (Center Theater Group). Perloff's dance background has led to several movement-theater collaborations including TOSCA CAFÉ (created with choreographer Val Caniparoli, A.C.T. and Canadian tour) and FATHERVILLE (created with Basil Twist, Stephen Buescher and Darron L. West) for The Strand. Perloff's most recent triumph was A THOUSAND SPLENDID SUNS, a world premiere commissioned by Perloff, co-produced with Theater Calgary, and adapted by Ursula Rami Sarna from the best-selling novel by Khaled Hosseni. SUNS will tour Canada and the US in 2018-19, including runs at the Old Globe Theater in San Diego and at Seattle Repertory Theater. Perloff directed the West Coast premiere of 2018 Pulitzer Prize-winner Martyna Majok's QUEENS at the La Jolla Playhouse. A.C.T. productions also include HAMLET (with John Douglas Thompson), TESTAMENT (with Seana McKenna), UNDERNEATH THE LINTEL (with David Strathairn), ELEKTRA (coproduced by the Getty Villa in Malibu), Beckett's ENDGAME and PLAY (with Bill Irwin), SCORCHED, and Racine's PHEDRE and Ibsen's JOHN GABRIEL BORKMAN at the Stratford Shakespeare Festival. Known for directing innovative productions of classics and championing new writing for the theater, Perloff has also directed for A.C.T. José Rivera's BOLEROS FOR THE DISENCHANTED; the world premieres of Philip Kan Gotanda's AFTER THE WAR (A.C.T. commission), David Lang/Mac Wellman's opera THE DIFFICULTY OF CROSSING A FIELD (with Julia Migenes); her own adaptation (with Paul Walsh) of A CHRISTMAS CAROL; A.C.T.-commissioned translations/ adaptations of HECUBA, THE MISANTHROPE, ENRICO IV, MARY STUART, UNCLE VANYA, A MOTHER and THE VOYSEY INHERITANCE (adapted by David Mamet); the world premiere of Leslie Ayvazian's SINGER'S BOY; and major revivals of 'TIS PITY SHE'S A WHORE, THE GOVERNMENT INSPECTOR, HAPPY END (including a critically lauded cast album recording), A DOLL'S HOUSE, WAITING FOR GODOT, THE THREE SISTERS, The THREEPENNY OPERA, THE ROSE TATTOO, ANTIGONE, CREDITORS, HOME, THE TEMPEST. Perloff's work for A.C.T. also includes Marie Ndiaye's HILDA, the world premieres of Marc Blitzstein's NO FOR AN ANSWER and the West Coast premiere of her own play THE COLOSSUS OF RHODES (Susan Smith Blackburn Award finalist). Perloff is also an award-winning playwright. Her play KINSHIP premiered at the Théâtre de Paris in October 2014 in a production starring Isabelle Adjani and Niels Schneider, and was produced at the Williamstown Theater Festival in 2015, starring Cynthia Nixon and directed by Jo Bonney. THE FIT was workshopped at New York Stage and Film, WTF and Kansas City Rep, and will premiere at San Francisco Playhouse in May 2019. HIGHER was developed at New York Stage and Film, won the 2011 Blanche and Irving Laurie Foundation Theatre Visions Fund Award, and received its world premiere in February 2012 in San Francisco. WAITING FOR THE FLOOD was developed at A.C.T., New York Stage and Film, and Roundabout Theatre. LUMINESCENCE DATING, which won the Bay Area Theater Critics' Best Original Script in 2007, premiered in New York at The Ensemble Studio Theatre, was coproduced by A.C.T. and Magic Theatre, and is published by Dramatists Play Service. THE COLOSSUS OF RHODES was workshopped at the O'Neill National Playwrights Conference, premiered at Lucille Lortel's White Barn Theatre, and was produced at A.C.T. in 2003. Before joining A.C.T., Perloff was artistic director of Classic Stage Company in New York, where she directed the world premiere of Ezra Pound's ELEKTRA, the American premiere of Tony Harrison's PHAEDRA BRITANNICA, the American premiere of Pinter's MOUNTAIN LANGUAGE, and was chosen by Harold Pinter to direct the American Premiere of MOUNTAIN LANGUAGE with his direct collaboration. "Under Perloff's leadership, CSC won numerous OBIE Awards, includinelfg the 1988 OBIE for artistic excellence. In 1993, she directed the world preiere of Steve Reich and Beryl Korot's opera THE CAVE at the Vienna Festival and Brookly Academy of Music. Perloff has collaborated with some of the finest actors in America including Olympia Dukakis, David Strathairn, Peter Reigert, Joe Morton, Wendell Pierce, Seana McKenna, Marco Barricelli, Firdous Bamji, Judith Ivey, Art Malik, Bill Irwin, and many more. She has developed relationships with great international artists such as Robert Wilson, Peter Brook, Robert Lepage, Kim Collier and Morris Panych, introducing Bay Area artists to imaginative and experimental work from around the world. A recipient of France's Chevalier de l'Ordre des Arts et des Lettres and the National Corporate Theatre Fund's 2007 Artistic Achievement Award, Perloff received a B.A. Phi Beta Kappa in Classics and Comparative Literature from Stanford University and was a Fulbright Fellow at St. Anne's College, Oxford. She received an Honorary Doctorate from University of San Francisco in 2017 and an Honorary MFA from A.C.T. in 2018. She was on the faculty of the Tisch School of the Arts at New York University for seven years, and taught and directed in the A.C.T. Master of Fine Arts Program for twenty-five years. Perloff is on the board of the Hermitage Artist Retreat in Sarasota, Florida and lectures on arts and culture around the country, including at the Aspen Ideas Festival and at TedX San Francisco. She is married to attorney Anthony Giles and has two children, Alexandra and Nicholas (aka Wingtip). Copyright © 2019. Carey Perloff. All rights reserved.